Did you know that you can find the IrritableBowelSyndrome.net community on Instagram? 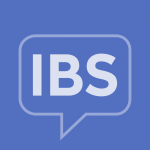 We’re excited to continue sharing the same great information about living with and managing IBS as part of the Instagram community. Click here to visit IrritableBowelSyndrome.net on Instagram! ”But the moment it starts, all my social skills go down the toilet.” Do flare ups cause you to be anti-social? Check out the #linkinbio! “IBS causes anxiety, anxiety triggers IBS; the vicious cycle.” – @lil_mac_22. Can you relate?